Are you looking for hen and stag do transport? You’ve come to the right place, CLICK HERE to enquire online. As a premier Birmingham coach hire company, we provide dedicated hen and stag do vehicle hire both within the Midlands and across the UK. Call us on 0800 112 3770 to book your hen or stag do transport. While these events used to be much more simple, such as knocking back a few beers or glasses of wine at a local pub, brides and grooms are now venturing a little further afield, really ‘going out with a bang’ and waving a fond farewell to single life. CLICK HERE for an online quote for your hen or stag do transport. Whatever you’ve got planned for your final blowout as a single man or woman, our hen and stag do transport service will meet your needs and provide you with stress free, convenient, and comfortable transport no matter where you’re heading. Having worked in the coach hire industry for many years, we’ve seen trends change and evolve, and today we’re finding that more and more local stags are opting for the fresh environment of a night out in a new city, such as Liverpool or Manchester. We are also finding that stags from other areas are flocking to Birmingham in search of the vibrant and lively Midlands nightlife. 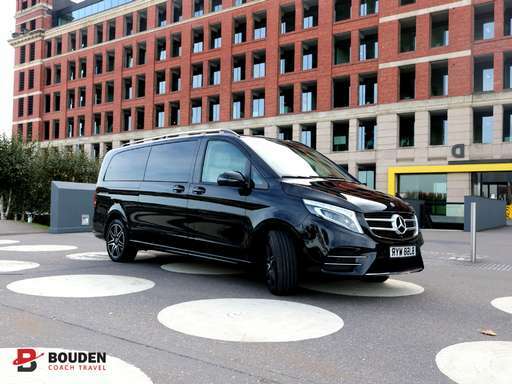 Whether you’re coming or going, we’re confident that our hen and stag do transport service will tick all the boxes, especially in terms of price. For stags wanting to minimise travel costs and have more to spend on the celebrations, our standard vehicles are all you need. They may not be fancy, but for getting to your chosen venue in a quick and safe way, they’re absolutely perfect. Brides to be who are planning a sophisticated affair will greatly benefit from our executive and luxury vehicles which ensure the theme of your celebrations is carried throughout the entire day. Whether you’re visiting a local spa for beauty treatments, heading off for a day at the races, or planning to celebrate in some of the most exclusive bars and clubs in the UK, you’ll love our luxurious leather seats, our on board entertainment, and our fridges for keeping your wine cool. Heading abroad for your hen or stag do? No problem! We can still play a major role in ensuring your celebrations take off without a hitch. We guarantee we’ll get you to the airport on time, and we’ll provide a spacious and comfortable atmosphere to relax in after you arrive back in the UK. It doesn’t matter whether you’re leaving from Birmingham Airport, or from any other major airport in the UK, you can count on us. Just complete our simple online form and we’ll get right back to you with a quote you won’t be able to resist. CLICK HERE for a quick online quote or call us on 0800 112 3770 to book your hen and stag do transport.